The company stands tall among the various Exporters, Importers and Suppliers of Panasonic GD88 Mobile Phones in London (United Kingdom). 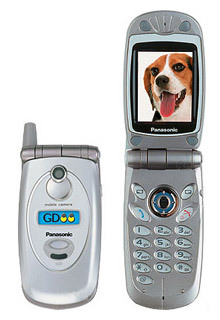 The Panasonic GD88 Mobile Phones, offered by the company, are user-friendly and classy mobile phones that come with the reliability of the Panasonic Brand. The Panasonic GD88 Mobile Phones are also long lasting in nature.